Alan Rosenspan's articles have been published in over a dozen different magazines in 7 different countries. 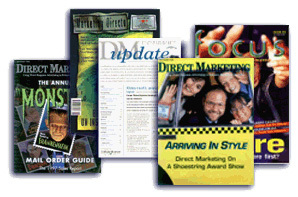 He has also written chapters for The Direct Marketing Handbook and Direct Marketing 2000. His book, Confessions of a Control Freak, was published in 2003. Here is a selection of articles on creativity, direct mail, e-marketing, and other topics. Please feel free to download or circulate any of them. Do You Make These 7 Mistakes in Direct Mail? How Do You Get the Best Creative Work? Who Wants to Market to a Millionaire?